Israel has no constitution, and although it calls itself the Jewish state there is no agreement among Israelis on how that fact should be reflected in the government’s laws or by its courts. Are these bills liberal or chauvinist? Are they a defense of the Knesset or an attack on the independence of the courts? Is their intention democratic or anti-democratic? The fight over the nation-state law—whether to have one and what should be in it—toppled the 19th Knesset’s governing coalition and, even after its passage on July 29, 2018, remains a point of contention among Israel’s lawmakers and increasingly the Israeli public. Defining Israel brings together influential scholars, journalists, and politicians, observers and participants, opponents and proponents, Jews and Arabs, all debating the merits and meaning of Israel’s nation-state law. Together with translations of each draft law, the final law, and other key documents, the essays and sources in Defining Israel are essential to understand the ongoing debate over what it means for Israel to be a Jewish and democratic state. The timeliness and exceptional comprehensiveness of this work cannot be overstated. 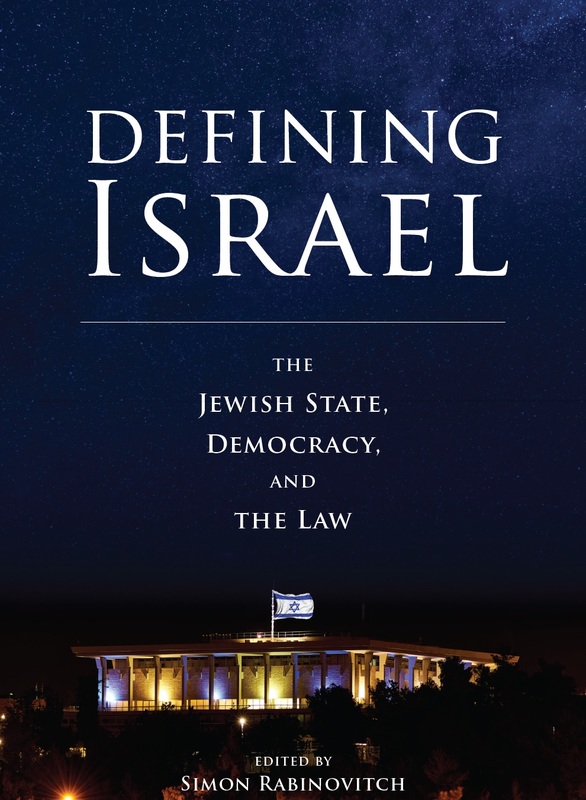 With passage of Israel’s nation-state law, this volume brings together the evolution of that law and a superbly definitive selection of the entire spectrum of views on the deeper underlying issues. It is required reading for anyone with an abiding interest in the issues of Jewish statehood and the direction of Israeli society and politics. This important collection of essays, by leading Israeli and Jewish scholars and politicians, traces the process of enacting a nation-state law, which calls into question the delicate balance between Israel being a Jewish state and a democratic state. It is a must read for anyone interested in the Israeli attempt to reconcile democratic values with a commitment to religious and ethnic identity but also to anyone concerned about the growing conflict between human rights and populist nationalism around the globe. In this comprehensive collection of primary sources and articles—the first of its kind—one will find valuable documents and diverse academic and intellectual perspectives for understanding the nation-state law in the context of the fundamental disagreements in Zionism and Israel. The book will be of much interest for scholars of nationalism, as well as for state and religion scholars. Simon Rabinovitch is Assistant Professor of History at Boston University, where he teaches on a range of topics in Jewish, European, Russian, and legal history. He is the author of Jewish Rights National Rights: Nationalism and Autonomy in Late Imperial and Revolutionary Russia and the editor of Jews and Diaspora Nationalism: Writings on Jewish Peoplehood in Europe and the United States.